Memory is a complicated subject for me these days. 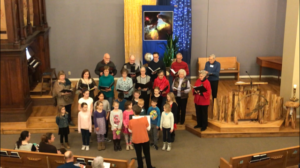 In many churches, memory work is a large part of the children’s faith curriculum – and while I haven’t noticed it to be a particular emphasis at Rainbow in recent years, it is one of many facets that the newly established faith formation board has held some discussion about as we work to consider potential priorities for children’s programming in our own congregational context. 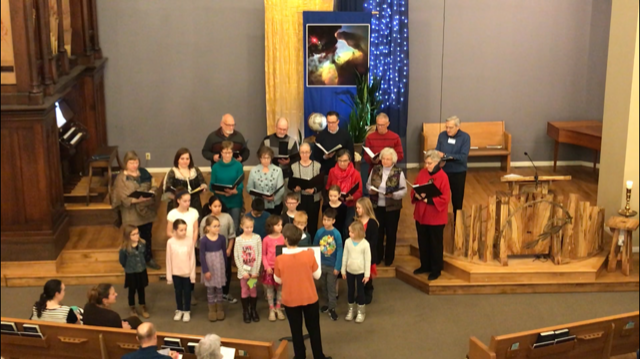 And together we’ve been working at that – first writing what we already knew, then singing it with help from the adult choir, and finally creating beaded color prompts to remind us of each phrase. Personally, I don’t recall when I first committed The Lord’s Prayer to memory, but it has stayed with me through the years. While I don’t recite it often, I find a certain comfort in knowing that it is there and I hope someday these children might feel the same. Worshipers heard similar sentiments from congregational voices a few weeks ago, and in recent months I’ve been struck by the staying power a memorized childhood prayer holds for my mom who is living with Alzheimer’s disease. As her memory continues to fade, I take consolation in the belief that the words, the melodies, the faith… and yes, the faces of love, no longer known by memory – remain known by heart.